latest style, prevailing taste, fad, form, looks, tone, model, pattern, shape, thing and trend. Understandably, this is bound to change with changing times. In the ever changing world of fashion, today’s style may turn obsolete tomorrow and yesteryear’s looks may turn today’ fad. But, what I fail to understand is this ‘fashion’ never takes any credence to the age or appearance of an individual and its suitability. That is the most pathetic part. When I was a school boy, I was not allowed to wear shorts (half drawer) as they expose the hairy legs of a teenage guy. But, today I find even a forty to sixty year old guys too wear shorts as a (trendy) attire for outing. They come in a host of colors and designs. 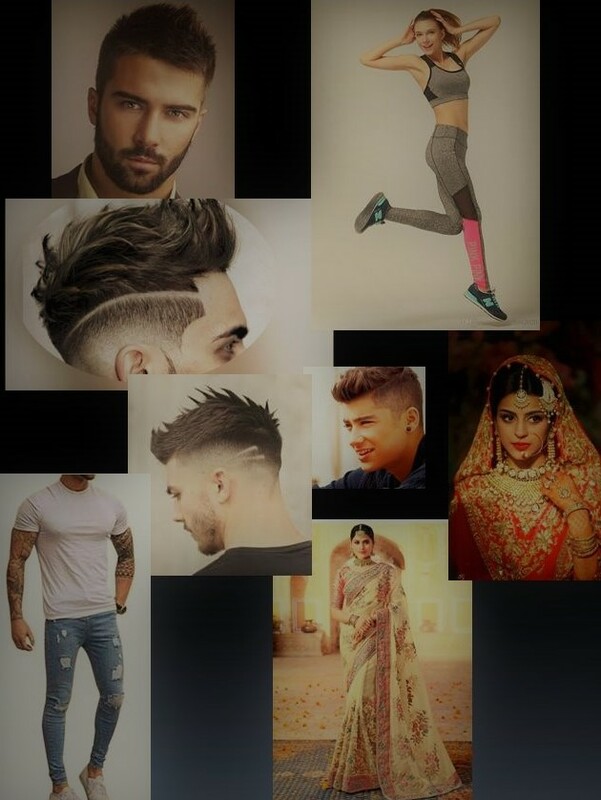 Next the hairstyle; if you watch any of the Hindi and more specially Tamil TV shows you will understand how a man can mess up with his hairstyle as well as face. The pompadour is something ranging from bizarre to ghastly. Designs etched above the ears and back as rough patches over which the crown part of the head is either spiky or lengthy. Wow, what a look! Stubble and beard have come to stay; trimmers should have a great time for the Hindi serial heroes where as in Tamizh (both in movie and serials) untrimmed, haphazard growth of facial hair is the significant part of the male face. At least in Hindi, the male folk trim their bristles; but in Tamizh, I need to search for their facial features in the murky mess of hair! Women also keep their coiffure from as frizzy as the nest of a bird to as straight as that of a spike! But, they need to look shiny in this case. The hair was never tied at any length; they enjoy as much freedom as the youngsters of present gen! The dressing also had gone a sea change; no more free hanging shirts and trousers; the shirts and Tees are tighter than their vests. The briefs should bear the brand band which should be visible to the viewer if the youth bends down or lifts his hands. The hips of the jean and pants have gone very much below the waist. They cling to the body as a second skin with as much wrinkles as possible. Ahem, the watches have grown bigger than before. One can find the time of any country, probably from the watch the youth displays today. When men can go this far, will the girls lag behind? Many youngsters prefer colorful leggies to jean or skirt or churidar. Colorful expensive, loaded with zari saris and churidars are meant for events like marriage or religious social gatherings. Their tops wary from very loose to very tight, either way adding the much spoken and written ‘glamour’! Sandals and shoes come in a wide range and variety. Name any foreign brand not only the original but a fake almost resembling them are also available. I was shocked to see in the showroom of ‘Zara’ the jean with the maximum holes and tears was the most expensive! (If you say in Tamizh; Allu Kandal!). If the jean’s fades in color faster it is much in demand and it has become an unisex attire. I couldn’t recognize the male and female tops or shirts nowadays that easily! Both are extremely bright, dazzling, gaudy and flowery! Well, my comments or views may not draw even a drop of water as I am a fast approaching septuagenarian!